So you’ve decided that your home needs new windows. What comes next? Understanding which window styles are available and learning about the benefits of each is extremely important. Double-hung replacement windows are a popular choice because of their beauty, versatility and various customizable options. Double-hung windows have two sashes in a single frame, with both sashes able to slide up or down independently to provide exceptional ventilation. The sashes remain flush with the wall while the window is open, which makes them a great choice for walls next to patios, decks and walkways. The difference between single- and double-hung windows is that a single-hung window has a fixed top window sash, which allows only the bottom window sash to slide up and down, while double-hung windows offer two sashes that are able to slide up or down independently. Double-hung windows are easier to clean and are ideal when the height of the window opening is taller than the width. 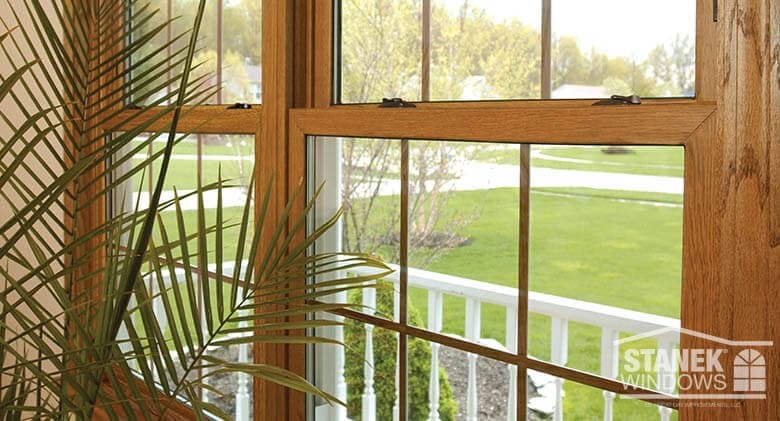 Stanek’s double-hung vinyl windows are beautiful, durable and offer you maximum ventilation. 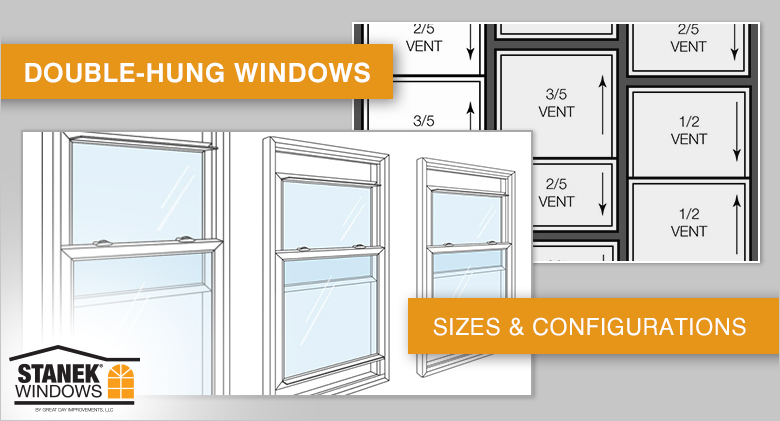 Our custom-tuned balance system and fully integrated sash ensure smooth operation for the life of your windows. Your security is important to us, which is why our low-profile double cam locks join the sashes for an exceptionally tight and secure seal that provides exceptional security for you and your family. Make your life easier with our automatic tilt-in sashes on the top and bottom of our double-hung windows, which make cleaning the interior and exterior of your windows effortless. 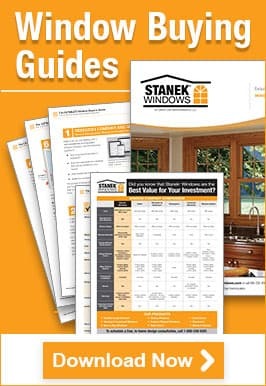 Stanek Windows offers several configuration options to maximize your view. You can choose where you would like the meeting rail (the section of the top and bottom sashes that meet) to appear on your window, so that your view doesn’t get blocked. Regardless of the configuration, your windows will operate the same. Check out the video below to see Stanek double-hung windows working in action. Why Choose Stanek Double-Hung Windows? Stanek double-hung windows don’t look like your typical replacement windows; the quality and attention to detail is exquisite. Our easy-care, energy-efficient vinyl windows never need to be sanded, painted, stained or refinished. Exclusive to Stanek, our windows utilize FIBERMAX® reinforcement that increases strength, reduces thermal conductivity and provides structural integrity for long-term performance. Vinyl double-hung replacement windows offer you endless custom options for maximum personalization with a variety of interior and exterior colors. Stanek brand windows are beautiful, durable and built to last. 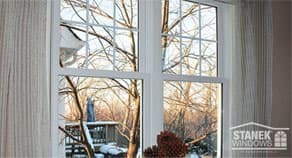 If you are looking for affordable, energy-efficient replacement windows for you home, look no further than Stanek Windows. Our representatives will work with you to create the look you want within your budget. Schedule your free, in-home estimate today!